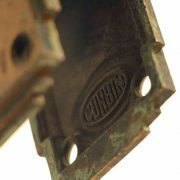 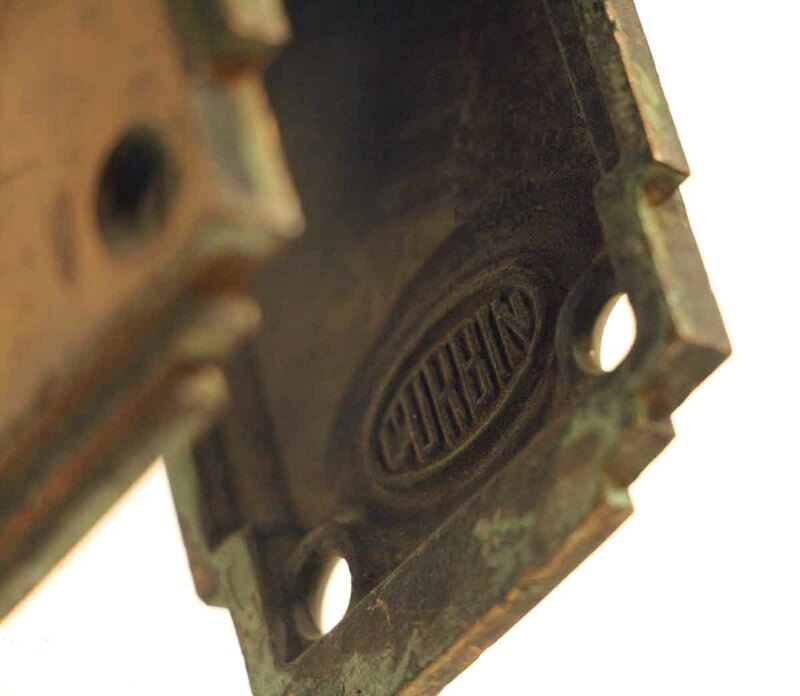 Corbin brand Art Deco lock door unit. 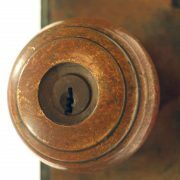 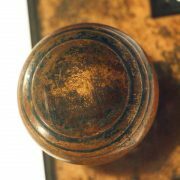 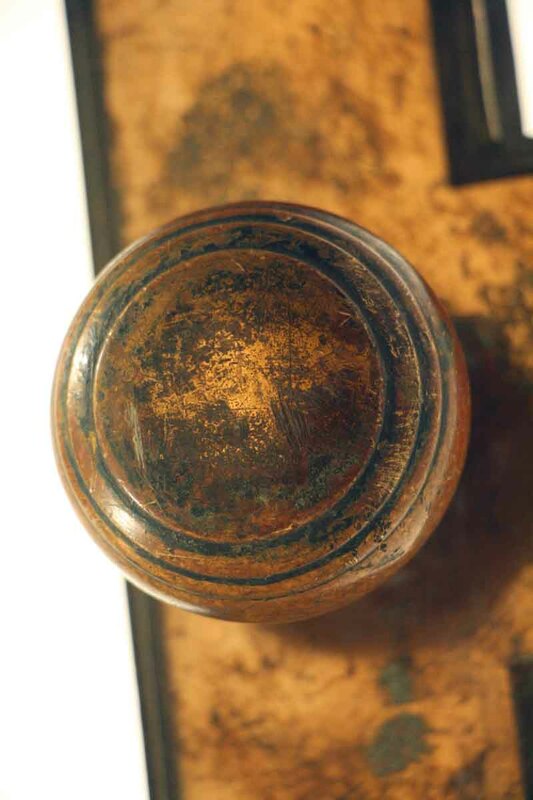 Set includes a pair of doorknobs, two back plates and an attached lock. 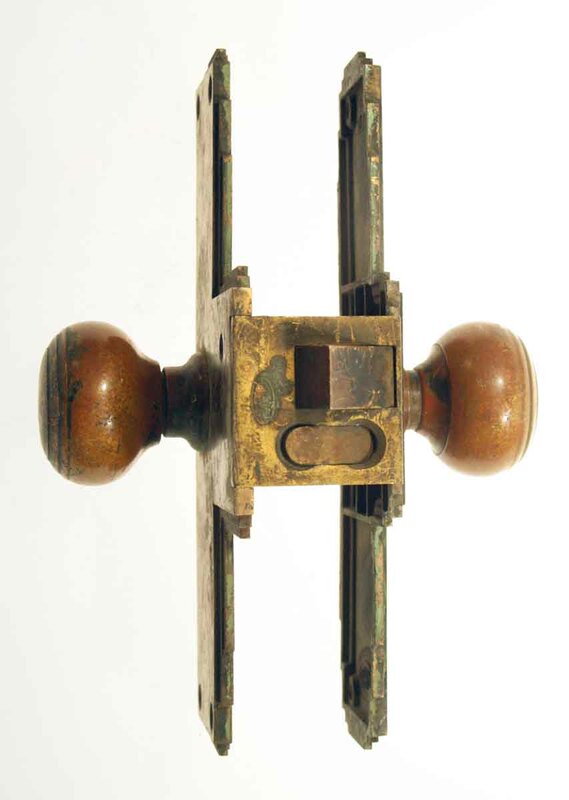 Unit locks were meant to be a one shot installation during the late 1800s till the 20th century. 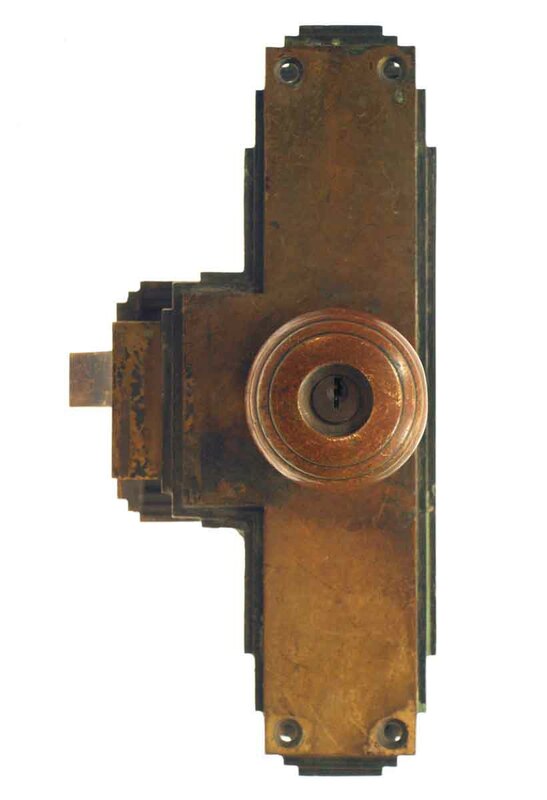 To install, cut out a rectangular section of the door where the lock box fits and that’s it. 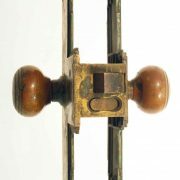 It is adjustable as to the door thickness. 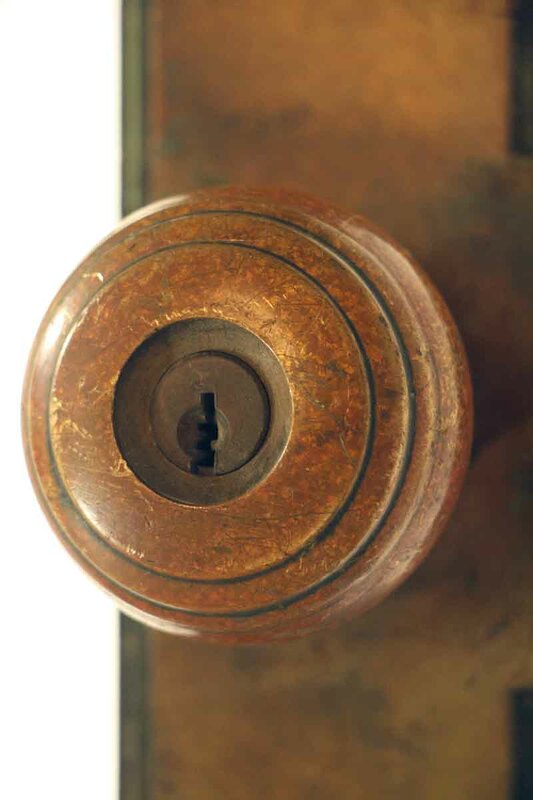 Keys are not available.